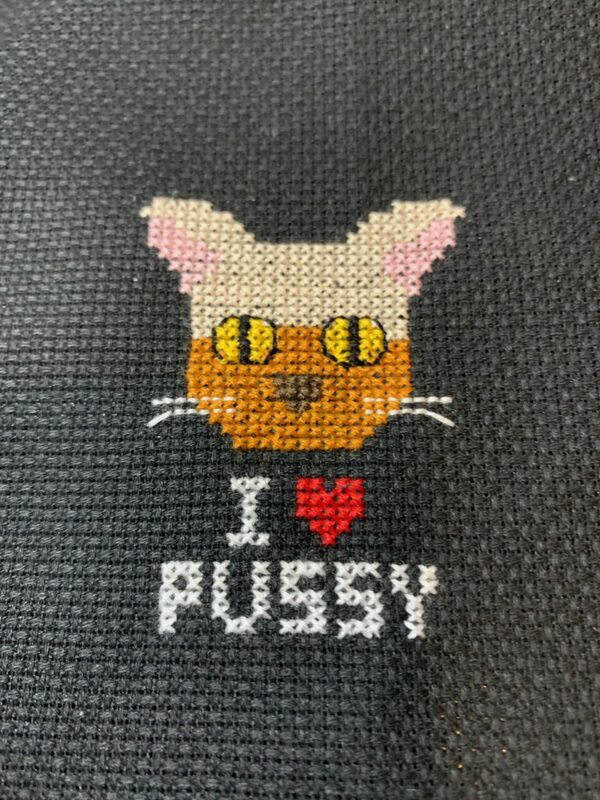 Not super thrilled with how the cat came out, but that’s due to my drawing and not my needlework. 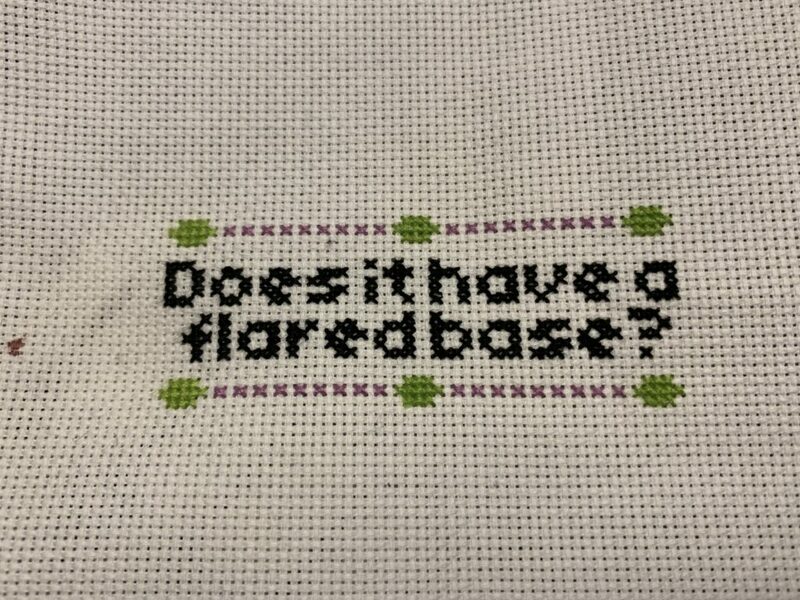 Does it have a flared base? Important questions for the ages. 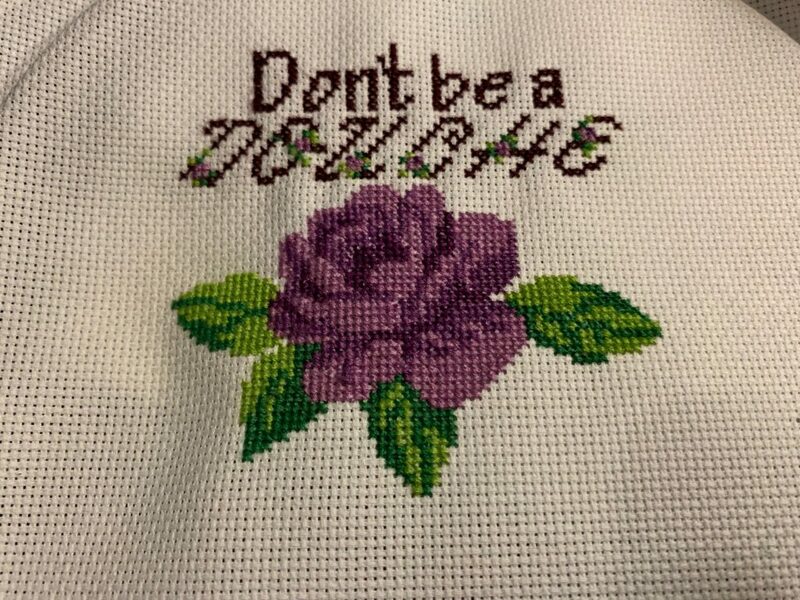 Sometime after the most recent time the collection of entertaining cross-stitch pictures crossed my Facebook feed, I decided I wanted to cross-stitch a flowery “Don’t be a douche.” So here it is.